Firecrest Mountain Biking has been running Mountain Bike Skills Courses at Aston Hill Bike Park in Buckinghamshire since 1998. We are passionate about Mountain Biking and Mountain Bike Skills Training and Conditionaing and have used our wealth of experience and knowledge to create an innovative range of Mountain Bike Skills Training Courses covering all the disciplines including Downhill (DH), All Mountain (AM), Cross Country (XC) and Enduro Mountain Bike Skills Courses. Ian Warby has been running Mountain Bike Skills Courses and Mountain Bike Skills Training and Skills Coaching in the UK since 1998 . After developing the first Forestry Commissions dedicated Mountain Bike Centre in the UK on Aston Hill, Ian spotted a gap in the market for ‘Ski School Style’ Mountain Bike Skills Instruction and Coaching. 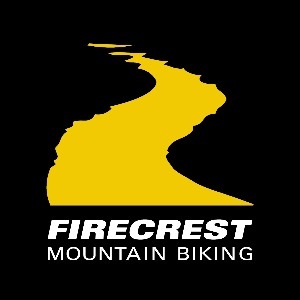 Firecrest Mountain Biking has pioneered this ‘Concept’ and has been involved in the development of Mountain Bike Skills Instruction and Skills Coaching for over 19 years. Ian has taught thousands of riders of all ages and abilities from beginners through to World Cup Riders, He is always refining the way in which Mountain Bike Skills are delivered through the ‘Firecrest Mountain Bike Skills Training System’. In the Summer of 2016 Ian took the difficult decision to once again ‘head out on his own’ and ‘re-boot’ Firecrest Mountain Biking. Focusing on Mountain Bike Skills Training providing Skills Instruction and Skills Coaching to Riders of all ages and abilities from beginners through to Mountain Bike Racers competing on the World stage at UCI Downhill and Cross-Country Racers and for competitors racing the World Enduro Series, International Enduro Events and Trans-Mountain Epics. Using the latest technology to give you the ultimate insight into your riding using Coach’s Eye, in conjunction on the ‘Race Courses’ with the Freelap Digital Timing System to provide unique rider Feedback, Insights and to Track your Progression. Success. Coach Ian Warby has been notified of your message.